Mississauga's 'Readers Choice Award' & 'Top Choice Award' for 'Best Dental Office' - Award winner 8 years in a row from 2008 to 2015. GD Orthodontics welcomes you to our state of the art facilities, conveniently located in Mississauga, Ajax and Whitby. We have been providing outstanding orthodontic care since 1998. Doctors Leonard Diamond, Leo Gerczuk & Gangbar Stephen are specialists in Periodontics & Implantology. Our practice specializes in treatment ofgum disease, cosmetic procedures to enhance yoursmile. Proudly Serving Brampton and Mississauga. Performing all Types of General and Cosmetic Dentistry. Call today! Dr. Preiss and staff provide first class dental experience and carry deep roots in the Mississauga community. For all your needs please call or stop in to book an appointment. BRACES / ORTHODONTICS FOR ADULTS & CHILDREN-Free Initial Consultation,INVISALIGN Clear Braces ...Flexible Payment Plan,CALL TODAY! Your dental health and comfort is the number 1 priority. Our goal is to offer exceptional dental services that help our patients achieve a level of dental health that we would expect for ourselves, our family and friends. 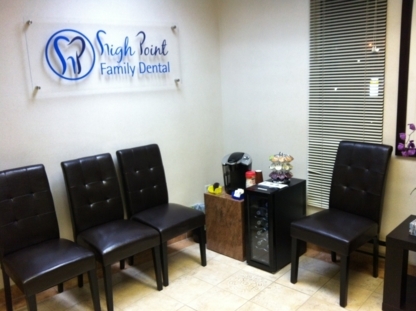 We strive to provide excellent, comprehensive, gentle dentistry to discriminating individuals. Get to know your dentist: The best way to find a new dentist in Applewood Heights ON is to get to know them personally before you require dental care – we are talking about someone who spends a lot of time poking around your mouth with metal instruments, after all. Look for dentists that make you feel comfortable. Important questions to ask when considering dentists are; dental office hours, after hours availability, what your dental plan covers and if emergency dental services are available on a moment’s notice.